Of all the Ladies I might watch the most current TV. A dubious distinction, but TV is a great knitting companion, especially on those long tedious scarf projects I always seem to get involved with (but that's probably another post-or not). I've been pretty vocal about not watching The Walking Dead anymore, so what am I watching these days? Apparently, Bromances! So here are three shows featuring guys who solve mysteries, stop crime, and challenge each other to survive. If you haven’t seen the BBC’s Sherlock, you should stop reading this right now and go watch it on Netflix, starting with Series 1. Go on, this post will still be here when you get back. If you don’t have Nextflix, ask a friend to watch it at their place, or go to a library…just find it. As you can probably tell by the tone of this entry, this is my favorite show right now, and it has been since it started. Three series in now (that’s the British way of saying “season”) each series is made of three 90 minute episodes that take you through a whole case. Mark Gatiss (who also portrays Mycroft Holmes in the show), and Stephen Moffat (of Doctor Who fame) take traditional Holmes stories and re-imagines them with a more modern flair. For those familiar with Arthur Conan Doyle's stories there are lots of little easter eggs and homages to the source stories, but you don't need that background to enjoy the show. This Sherlock Holmes, played by Benedict Cumberbatch, is a bit more “spectrumy”, often referring to himself as a high functioning sociopath. Sherlock’s John Watson, played by Martin Freeman is a danger-addicted war vet. Together they solve mysteries, and become best friends. For those of us who have been unhappy with writing of the last few seasons of Doctor Who (I’m looking at you Moffat), I think the Sherlock writing remains strong. Also, I could watch/listen to Benedict Cumberbatch read my grocery list. In fact, I would probably DVR it. 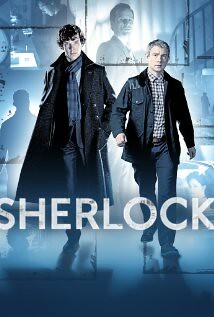 Bromance Factor: 5 out of 5 long swishy coats John and Sherlock are total besties. Each provides a specific type of companionship that the other needs. In Sherlock's case, this is a completely new life experience. This mutual friendship not only makes them better at solving cases, but better at being people. This show started charming me from the start, though I’m not exactly sure what makes it so endearing. It’s a familiar sci-fi trope. In the future regular human police get paired with robot/android partners. 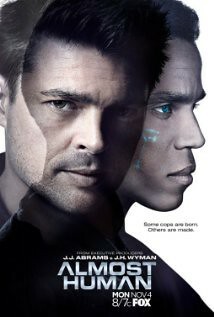 Human cop John Kennex (Karl Urban), hates robots and refuses to work with the current "standard issue"model. He also takes great joy in destroying them. Enter DORIAN (Michael Ealy), a robot whose model is discontinued because his AI is too “emotional”. See what I’m saying? This shouldn’t be as fun to watch as it is. I give a lot of credit to Urban and Ealy for taking characters that could be overdone and flat and making them engaging. It’s essentially a buddy cop show, without being too deeply police procedural (typically I'm not too into those). Karl Urban's Kennex is delightfully cranky, while Micheal Ealy's DORIAN is sweetly human and a reminder of the kinder side of human nature. It's a nice thing to be reminded of. Bromance factor: 3 out of 5 emotional androids DORIAN helps Kennex remember his humanity in the light of recovering from trauma, while Kennex exposes DORIAN to some of the more agnsty parts of the human spirit, the parts that are harder to process. You guys! The duality of man! This is one of the only “reality” shows that is watched at our house. It takes a survival show like Man vs. Wild or Survivorman and adds a game aspect. Five survival experts take turns "kidnapping" and dropping each other into a surprise survival situation in which they have 100 hours to find their way back to civilization. The survivalist is given a few items by their buddies, and is also allowed to keep anything they can get past a thorough search. Yes, you have to suspend a bit of disbelief with this scenario. Planning is a huge part of international travel, and if you are going to literally dump someone in Siberia, I am fairly sure their passport has to be involved. And while the kidnapping scenes are fun, seeing a camera crew while you are at the dentist might be a tip off. That said, knowing this doesn’t make watching any less fun. 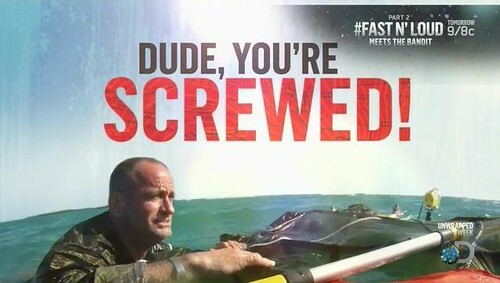 Admittedly I don't love the name of this show, but I do think it speaks to camaraderie you see among the experts. Some are current and ex-military, others are top survival experts. The team monitors the current survivalist, making sure vitals stay in a safe range, sending a message that while messing with your friend is fun, safety is key. I think the thing I like the most about this show is that rather than becoming overly competitive, the participants seem to honestly respect each others expertise and creativity. That's not to say there isn't a little glee at supplying a giant inflatable boat to someone stranded in the middle of the desert. Bromance factor: 2.5 out of 5 secret fire starters When it comes down to it, though these guys are competing in a game, you get the sense that they are friends or in the very least think of themselves as a team. For me the best part is that the professional respect is very clear and very genuine.